Getting around town quickly, while also saving the environment and using an electric scooter? Say hello to the nifty Ather scooter which are Bangalore born and bred. If you’ve been hearing the buzz of an electric scooter for a while now, your wait is finally over. 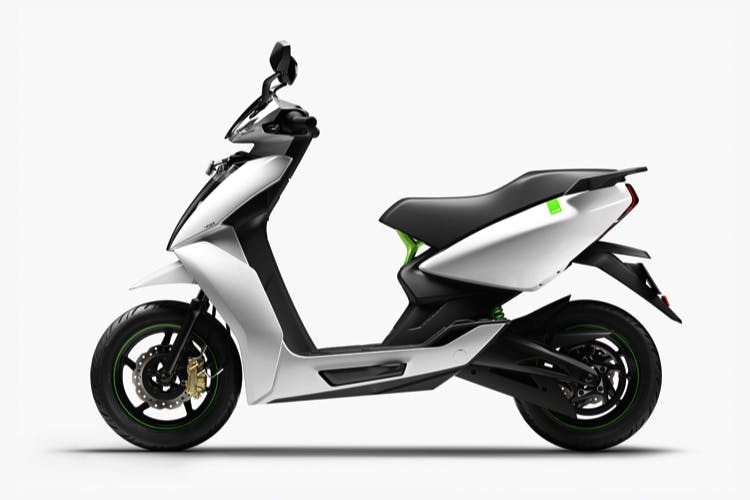 We too have been tracking the growth of this Bangalore brand, and as of two days ago, Ather Energy launched their disruptive intelligent, electric scooter in two variants — Ather 340 and Ather 450. The latter is perfect for the city streets and we cannot wait to get out hands on one. With the ability to hit top speeds of 80kmph (as if you can even reach those speed in our dear traffic riddled Bangalore), the acceleration too is something to look forward to if you like the physics of scooters. This one can go from 0 to 40 kmph in 3.9 seconds, and we’re impressed. No, that does not mean whizzing by on the vehicle for no reason. If you though only your phone could have a Fast Charge option, think again. These ones can also be charged up to 80% at turbo speed, meaning you’re unlikely to be stranded, even if you battery is low. Currently, there are already 17 stations up and ready, with 60 more expected by year end. It’s also a smart scooter. It has a screen that allows easy navigation even when you’re riding. Plus, saved routes and locations to show how smart it really is! While the price of INR 1,09,000 for the Ather 340 variant and INR 1,24,750 for the Ather 450 version, may seem high at first, the fact that it includes GST, road tax, smart card fee, registration card, and insurance, make it worth it. We are super excited that soon we will not need to hunt for parking or sell our kidneys to pay for fuel. Time to order it online, wait a while, save up, and then scoot about the city in style. And the best part? Since it’s electric, you will not be contributing to the already high levels of pollution. How cool is that. Now, if you’ll excuse us, we’re off to take the scooter on a spin. Book a test ride here or if you’re convinced already, pre-order your scooter here.